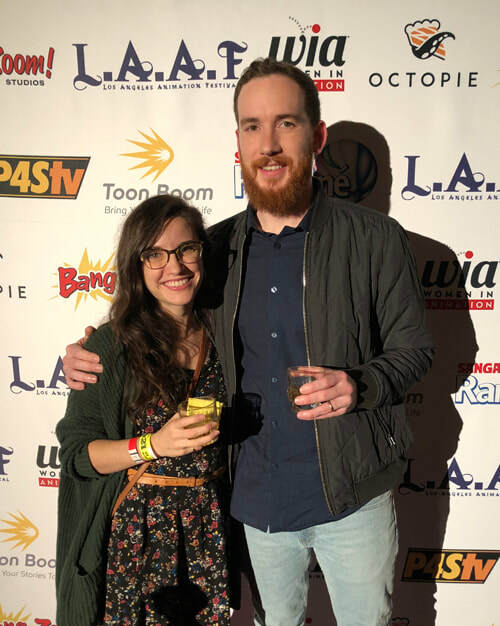 Our (extremely) short film Spider vs. the Living Dead won Best Horror Comedy at the LAAF Film Festival! We had a good time at a very unique and relaxed event. When you have an urge to animate, ANYTHING will do! Created for Halloween '17. We used this short to exercise some new ideas about character design, clay puppet fabrication, lighting, sound design, and 2D effects techniques. My father, who is an old horror fan and master pinstriper/letterer, sketched the title design for us. "Spider vs. the Living Dead" was an official selection for the inaugural Cardiff Animation Festival. This cartoon was created as an online exclusive for the adult swim website. We created this claymation for the 2011 "Crash the Superbowl" competition by Doritos.